Written by Paul Riddick on September 18, 2015. The old man is one day older. That’s right, Paul Hirsch turned 40 this August, making him one day, and simultaneously, one year older. We celebrated by jumping out of, what I suppose was a plane, but in fact felt much more like a dust bin retrofit with wings and an engine. Climbing to 10,000 feet was quite relaxing, especially admiring the Texas scenery with perfect blue skies. After being strapped in, the tandem diving instructor, Taylor, opens the door. Yep, there it is. There’s that “this isn’t normal” feeling. For a moment I feel my nerves kick-in. Screw this! Nope. I’m doing it! I’m doing it! I’m doing it! I feel a small tug on my shoulder where I’m secured to Taylor as I reposition my foot outside of the plane. Suddenly it resonates that I’m safe and my nerves leave. Next foot out. I hear Taylor shout “Ready?” – I make sure my hands are positioned correctly. I’m ready. We fall forward and soon hit terminal velocity for a little under a minute. 10,000 feet later I’m on the ground (alive) hopping around like a child filled to the brim with sugary sweets. That was amazing! Let’s do it again! Unfortunately there were four people lined up to jump after us and we still had an hour drive back to Paul’s house. Earlier that day, one of our partners asked a simple yet profound question: “You’re both going skydiving…so, what happens if your chutes don’t open?” Made mostly in jest, at the time I brushed it off with “fortunately we’re not in tandem together.” Skydiving is relatively safe, these guys/girls have to do hundreds of jumps to be certified and equipment checks are very strict and thorough. Not only this, it would also have been very silly for the other to jump out of the plane after the first one just repainted the landing zone. But it raised an interesting point: what is our succession plan? Who will ensure our clients are not just taken care of, but given care to the level we expect? With one of the owners out of commission or gone, business gets tough, but it’s manageable. If both of us suddenly disappear, that’s a big problem for our staff, our clients and our business. So we updated our succession plan in response to the latter. In a perfect world, we would be working with our clients forever. But that’s not possible. There are few people with whom we partner equipped to step into our shoes, but in the event they would have to do this we’re confident our partners would be able to assist in making sure our clients are in good hands and that Studio1337 would continue to work for them. Do you have a succession plan? For your business? For your life? The topic may seem morbid, but it’s important. If you haven’t thought about the unthinkable, there’s no time like the present. 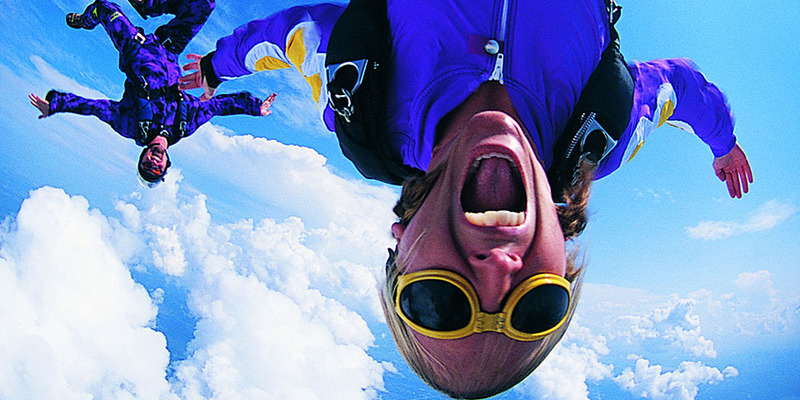 Once you’ve done this – go jump out of a plane. It’s an awesome experience!